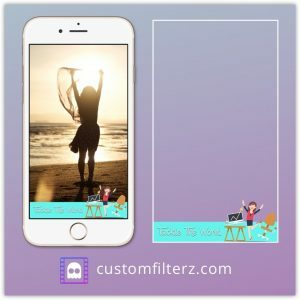 Geofilter templates - this week top 5! Every Sunday, we post 5 of the best geofilters we have seen during the previous week. If you are looking for some Snapchat geofilter template ideas or design inspiration, check out our 5 favourites from this week below. 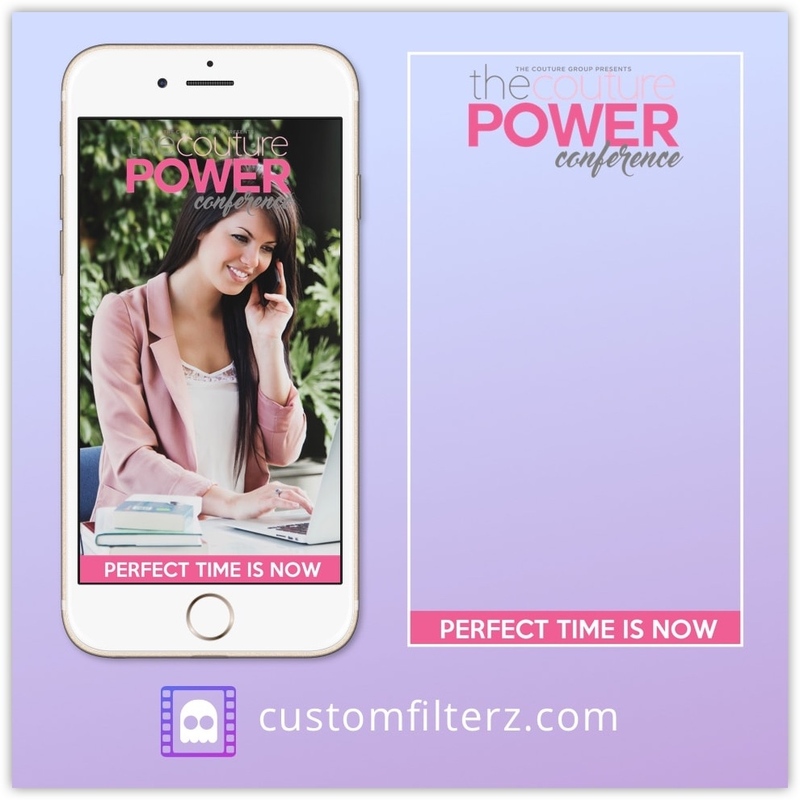 This custom business geofilter was designed for The Couture Group to use at The Couture Power Conference. The geofilter was really popular with the crowd and received over 230,000 views on Snapchat! That works out to cost just $0.21 per 1,000 views, which is incredibly cheap compared to other methods of online advertising. 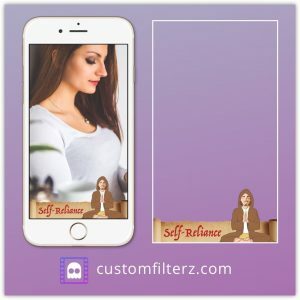 Using geofilters at public speaking events helps to engage the crowd and generate buzz around your event. If you want to promote your event on Snapchat, get in touch with us to see how we can help today. This geofilter template was created for the inspirational Snapchatter Leo Horowitz. It features a custom illustration of Leo with a design that shows off his personality and the theme of his content. Leo used the geofilter throughout the week as he kept up with his daily stories on topics that are important to his following. We are working with Leo to create custom geofilter templates that are branded with various portraits to help build his personal brand. 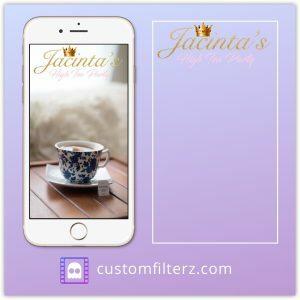 His geofilters are strategically positioned in areas where his target market will engage with them. You can follow Leo and see the geofilter design in action by adding him on Snapchat at @leo_horowitz. 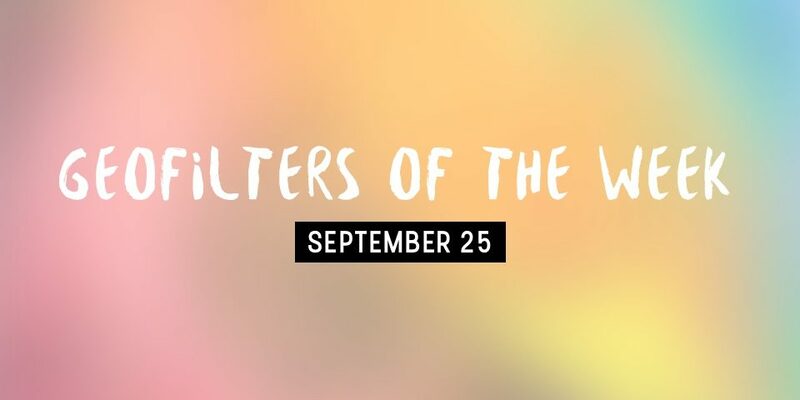 The theme for Leo’s filter changes each week to match the topic he is focusing on so it may appear in this list again, as it did in the previous post. The next custom geofilter design of the week is this one that was created for Ashley Kruempel. Ashley is an entrepreneur started out by growing her network on LinkedIn and is now spending a lot time growing her Snapchat audience. One of Ashley’s growth strategies is account takeovers. This is where a Snapchat influencer, posts a story on another large account with a similar audience and shares useful information with the hope of exchanging followers. Ashley appeared on the popular account @startup_journey as well as speaking at a conference. We created a geofilter for her to use while she snapped that matched her #TackleTheWorld theme. It was really popular and a huge success! 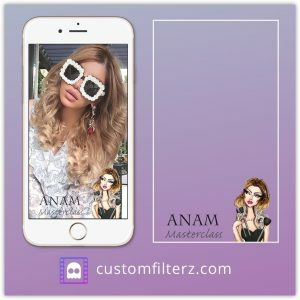 We worked with the influencer Anam Falak to create this branded geofilter for her to use while she was running a beauty course. This Snapchat filter was insanely popular too, racking up close half a million views over the 3 day course. Finally, we have a geofilter that was used for our clients tea party. The simple and clean design looks great and displays perfectly on Snapchat.